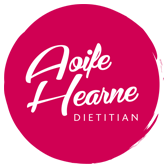 I offer a wide variety of dietetic services that may be of interest to other health professionals. My two dietetic clinics offer weekly appointments with one of our Registered Dietitians. We aim to keep waiting list short and will endeavour to offer clients appointments within a 2 week time frame. In addition to one on one consultations, I also offer group education session on specific topics. Whatever your nutrition concern, I am here to help. Why not contact us now.